The Making IT Happen award honors outstanding educators and leaders who demonstrate extraordinary commitment, leadership, courage and persistence in improving digital learning opportunities for students. See students are real people. Teach through relationships, inspiring, encouraging, and nurturing. Realize that teacher empowerment is the key element to technology that is a process. Kathleen has made a significant contribution to NHSTE, ISTE, and the world of Educational Technology for more than three decades! Co-author of the books "Make Learning Personal" and "How to Personalize Learning", Kathleen is nationally renowned for her work in this area. An active member of NHACES, predecessor of NHSTE, Kathleen has been NHSTE Advocacy Chair since 2005. She was recipient of the ISTE Public Policy Advocate of the Year award in 2012 and has served on the ISTE Advocacy board since 2016. 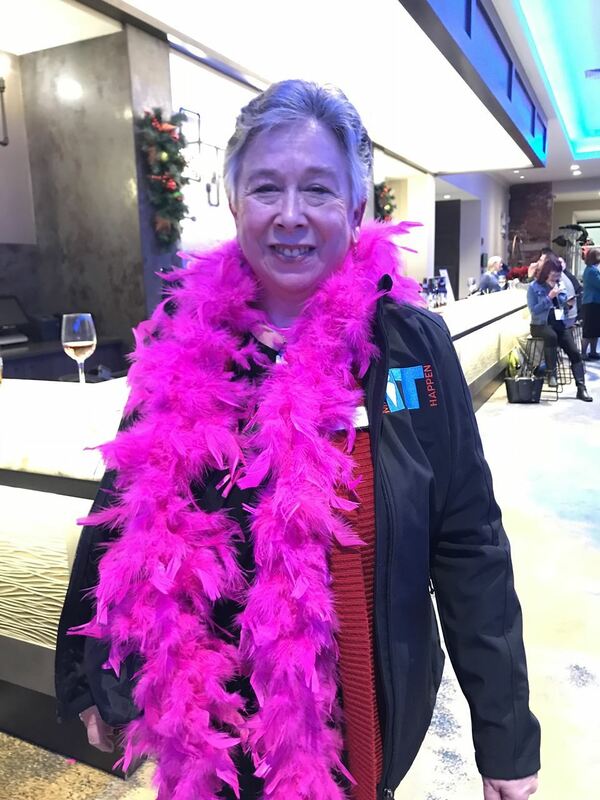 President of NHSTE from 2016-2017, Kathleen has been an active presenter at both the NHSTE and ISTE conferences and an inspiration and mentor to many in our field! Always full of energy and passion, Kathleen embodies and exemplifies both the NHSTE and ISTE missions! Celeste Best is regionally and nationally recognized for her innovative work in the science classroom, recipient of numerous awards including the 2009 NHSTE Pat Keyes Educator Award, 2011 NSTA Vernier Award, and 2014 ING Unsung Hero Award. She is one of 100 teachers across the country receiving the Unsung Heroes Award for her innovative forensic science program at her high school in Durham, NH, Celeste authored Strengthen SCIENCE INSTRUCTION: Make Best Use of Apps, Mobile Devices, and Other Cutting-Edge Technology in Your Science Classroom used in her BER training programs. Active on the NHSTE board since 2009, Celeste has proven a true leader serving two terms as President from 2014 to 2016. Throughout these years, she created and implemented the Chris Nelson Memorial Grant program. Not only has she developed the program, but also supported the school teams receiving the grant. Celeste is truly deserving of the Making IT Happen Award. Click here to read more about the past winners. For more information, click here to visit ISTE's Making IT Happen Awards Page. Making IT Happen Award winners from all over the nation at the ISTE 2015 Awards Celebration Luncheon. Image courtesy of ISTE.